Google Huawei Nexus 6P is a really promising device from Google which actually stands some where near to a Perfect Android device. Along with the awesome hardware, Nexus 6P also comes with a guaranteed Software updates as it is a “Nexus”. Out of the box Nexus 6P comes with a Stock Google Android Marshmallow with few software bugs which are fixed now. Google has released Android N 7.1 for Nexus 6P which comes with great features. Even though the device serves well, after some time, you might get bored of the same theme even after using launcher. For the people who like to experiment with their device & explore various possibilities, installing a custom ROM & increasing your device’s potential is one of the option. 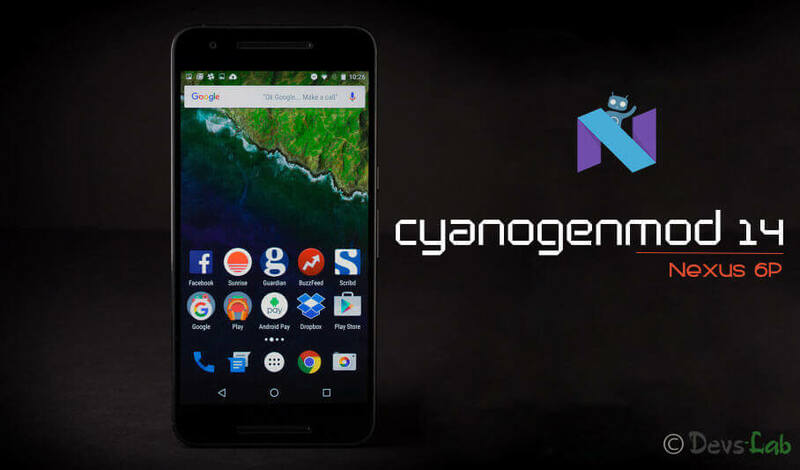 Today we’re here with Cyanogenmod (CM) 14.1 (Android 7.1) Custom ROM for Google Nexus 6P. If you’re not sure about Cyanogenmod, you must read Cyanogenmod ROM Features: Why you must install Cyanogenmod! Redesigned Notifications & option for quick reply. Unlock Huawei Nexus 6P Bootloader. Root & Install TWRP Recovery: How to Root & Install Recovery in Nexus 6P. This ROM is only for Google Nexus 6P. Please don’t try this on any other smartphones. Press and hold volume down and power keys at the same time to boot into Recovery mode. Locate the CM 14 downloaded zip file & tap on it. Now swipe to Install the ROM. How to unbrick Google Nexus 6P in few easy steps. Once you have installed Cyanogenmod 14.1 in your Nexus 6P, checkout complete list of CM 14 themes & pick the one which fits in your choice. If you found any bug after installing the ROM, just wait for few days, Cyanogen developers will fix it in next update.